New coverage guidelines take effect in 2019 that can make it more affordable for Medicare beneficiaries to get the caregiving services they need. Original Medicare's coverage (Medicare Part A and Part B) can be summed up with four words: "Only when medically necessary." And in the case of Medicare Advantage plans (Part C), the similar magic words are "primarily health-related." If a service or item does not meet one of these general guidelines, it is not likely to be covered. But thanks to the Centers for Medicare & Medicaid Services (CMS) recently reconsidering its definition of those phrases, some significant coverage changes have been made for 2019. And these changes can have a huge impact, not just for Medicare beneficiaries themselves, but also for their caregivers. The coverage of personal care services by Medicare has long been advocated for, but to no avail. The push finally drew enough interest from the CMS, however, that on April 2, 2018, the organization announced that it was expanding its coverage limits to include a set of not-medically necessary services and items for Medicare Advantage plans. That means that for the first time ever, not-skilled in-home care services will be allowed as a supplemental benefit for Medicare Advantage plans. So if you're a caregiver, many of the services you are currently providing may now be covered. That's big news for anyone providing care for a loved one, with one or both parties often bearing the burden of caregiving expenses. Medicare Advantage plans are an alternative to Original Medicare and are sold by private insurance companies. They are required by law to offer all of the same benefits as Medicare Part A and Part B. Beyond that requirement, these plans can then offer additional benefits of their own, commonly referred to as "supplemental benefits." Some examples of supplemental benefits that a Medicare Advantage plan might offer include coverage for prescription drugs, dental, and vision care. 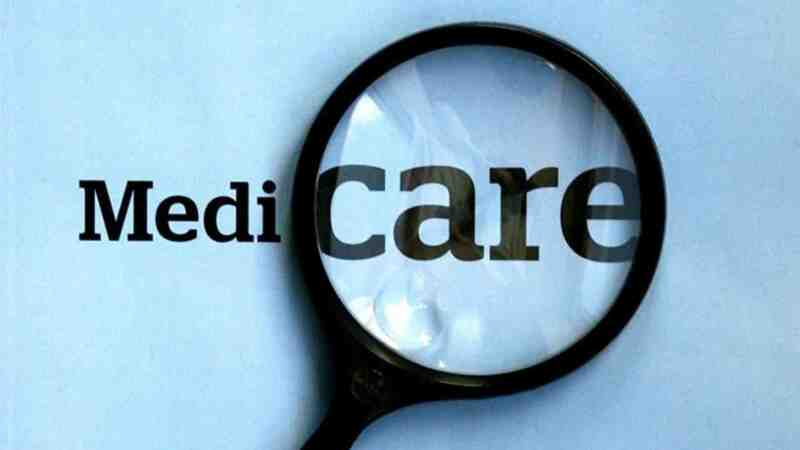 Approximately one-third of all Medicare beneficiaries are enrolled in a Medicare Advantage plan. Because Medicare Advantage plans are sold by private insurance companies, the benefits offered will vary from plan to plan. "CMS is catching up with the rest of the world in terms of its understanding of how we keep people healthy and well and living longer and independently, and those are all positive steps," Connolly said. In other words, the CMS is finally coming around to the idea that providing covered care outside of a doctor's office could be a short-term investment with long-term gain. The theory is that by providing more coverage for at-home and aging-in-place care, hospital visits should decline and overall Medicare costs should go down. Every Medicare beneficiary and their caregiver should be aware of these changes, which took effect on Jan. 1, 2019. What's New for Caregiving Coverage? Here's a brief summary of some of the potential Medicare Advantage benefits that have been either added or expanded as a result of the recent coverage changes. Things like bathroom grab bars and wheelchair ramps may now be covered by some Medicare Advantage plans, along with air conditioners for people with asthma. As any home caregiver soon finds out, modifying a home can be an effective (and sometimes necessary) step toward providing quality care. While original Medicare only covers transportation to a hospital in an emergency situation, some Medicare Advantage plans may now cover rides to non-emergency medical appointments provided by senior transportation services. Adult day care and in-home respite care may also now be covered by a Medicare Advantage plan. Having this type of service covered can offer a big sense of relief for a caregiver who is starting to feel stretched thin. Medicare coverage for at-home care has always been bound by an "only when medically necessary" clause. But that clause has been softened for 2019, and some Medicare Advantage plans may now offer coverage for home health aides to assist with custodial care like bathing, dressing, and eating. Medicare Advantage plans were previously allowed to partner with Meals on Wheels and other similar programs to provide beneficiaries with home-delivered meals. But the restrictions limited those covered deliveries to only the days following the return home after a surgery or for those with a chronic illness. Those restrictions have been loosened under the new guidelines, and some Medicare Advantage beneficiaries may now be able to gain greater access to a hot meal while their caregiver earns relief from the daily duty of cooking. Original Medicare provides coverage for hospice care, but the new policy changes allow some Medicare Advantage plans to also provide benefits for at-home palliative treatment. A caregiver's job isn't easy, but some Medicare Advantage plans are aiming to help by offering caregiver counseling as a covered benefit. These policy changes provide a welcomed and deserved relief for caregivers. As a caregiver, you may now be able to make home modifications and not be stuck holding a hefty bill. You don't have to re-arrange your life to drive your loved one to a doctor's appointment. You can take advantage of respite care and adult day care. And if you still find yourself in a difficult place, you may be able to pick up the phone and speak to a caregiver counselor. Caregiving can carry a financial toll, and not just due to lost wages. There's also gas money for transportation, home modifications, meal preparation, and more to consider. If you're a caregiver for a Medicare beneficiary, it might be wise to look into any Medicare Advantage plans available in your area and familiarize yourself with the enrollment guidelines. There are only certain times of the year in which someone can enroll in a Medicare Advantage plan. The costs, conditions and benefits can vary based on your plan, provider or location. Medicare open enrollment takes place each fall from October 15 to December 7, but you may also be able to enroll in a Medicare Advantage plan during other times of the year. Take the time to do your homework and find out when you may be able to enroll in a plan. Article written by Christian Worstell of TZ Health Media.